Because the abrasive disks are quite light, standard racks are not suitable for presentation of the product – the structure turns out to be very heavy. 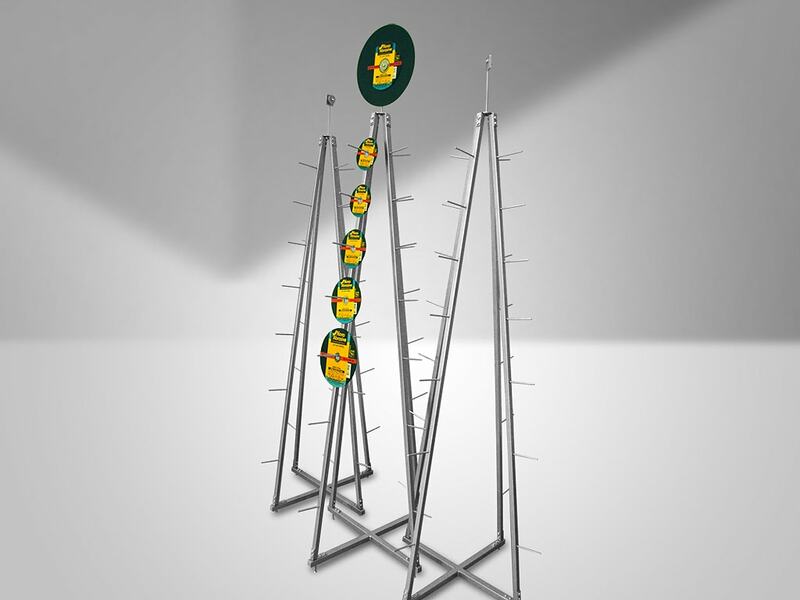 Ustor Company has developed several versions of lightweight racks designed for front-line demonstration and display of products from all four sides simultaneously. Currently a stand for installation on the standard rack shelf is in development.